Jan. 26, 2016, 4:20 p.m. Chances are that as it grows chillier, you’re thinking about summer more and more. 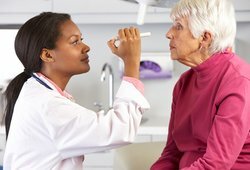 Sadly, the season is still months away - but that doesn’t mean you need to wait to think about your vision and eye health. While it’s important to protect our eyes during sunny summer vacations, the truth is that our eyes aren’t automatically safe from the elements because it’s not currently beach season. In fact, forgetting to protect our eyes from certain winter elements can be just as damaging as going out under the summer sun - as winter air and winds are well-known irritants that can create burning eyes, itchiness, and blurry vision! 3) Wash your hands often and avoid contact with your eyes. Like eye protection, this is a must year-round - but since winter is the time for flu season, hand washing becomes particularly important during this time of the year. Our hands are the perfect carriers for various germs that could get us sick. Fortunately, it’s relatively easy to help prevent the spread of the flu and eye-related illnesses like conjunctivitis (pink eye). Simply by washing your hands frequently, you’ll be able to reduce your risk of spreading germy hitchhikers. But just in case, try your best not to rub your eyes or touch them with your hands throughout the day. These three simple eye tips can be extremely helpful in keeping your vision clear and healthy during the winter months. As a bonus tip, why not make an appointment for your annual eye exam? Annual eye exams are crucial in preventive eye care - so go ahead, visit our website, and get in touch with an office near you today for a basic eye exam and check-up, just to make sure that you’ll be able to see clearly throughout the year! Jan. 10, 2018, 9:20 p.m.